Samsung’s Galaxy S10+ flagship smartphone has amassed 109 points in DxOMark’s Mobile test for its rear-facing triple camera setup. This puts the device on equal footing with Huawei’s Mate 20 Pro and P20 Pro in terms of points, but the image quality rating website has given the S10+ third place in the overall Mobile rankings. Samsung will be very pleased with the results coming across from DxOMark in its reviews of the Galaxy S10+’s front and rear cameras. In regard to the latter, the new smartphone joins the Mate 20 Pro and P20 Pro with a high score of 109, although the Huawei devices still retain their respective first and second positions in the Mobile rankings. The S10+ scored 114 for photo (Mate 20 Pro: 114; P20 Pro: 114) and managed 98 points for video (Mate 20 Pro: 97; P20 Pro: 98). Regardless of the idiosyncratic nature of DxOMark’s scoring methods, the result can still be seen as a win for Samsung. The S10+ was commended for good color rendering and for having a wide dynamic range in photos, while pros for video included fast autofocus and efficient stabilization. There were criticisms too: DxOMark felt that fine details were often lost in photographs and the zoom feature lagged behind those of the Huawei devices, which is unsurprising as the smartphones from the Chinese manufacturer have greater zoom capabilities (see below). 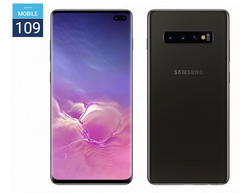 Whether the Samsung Galaxy S10+ should occupy only third position in DxOMark’s Mobile rankings is a matter of opinion. The telephoto sensor offers 2x zoom whereas the Mate 20 Pro and P20 Pro can offer 3x zoom: Samsung’s device scored 68 in this category compared to 70 for the Mate 20 Pro and 73 for the P20 Pro. DxOMark mentioned the S10+’s ultra-wide-angle lens did not have any effect on the final score, even though many users will find that particular feature desirable in a smartphone camera. The S10+’s triple rear camera setup is made up of 12 MP (main) + 16 MP (ultra-wide) + 12 MP (telephoto) sensors.